The capital is chaotic. People sleep, badly, but they never stop — indeed there’s barely even time to pause, unless you enforce it. Plus, being busy is a status symbol — why breathe deeply when you could be panting as you sprint through Bank on a Tuesday morning? But at some point, something’s got to give. Londoners are taking control of their time (and sidelining the cynicism) to attend mass meditation classes. “I wanted to create an experience where everyone could come and sit with us,” explains Michael James Wong, founder of Just Breathe, which organises mass meditation gatherings across the capital. Since it launched last autumn, Wong’s community has exploded to attract artists, poets, musicians and speakers from across the world, as well as ordinary Londoners. He is expecting more than 1,000 people at the next Grand Gathering in October. The Grand Gathering will take place at The Shangri-La at The Shard. The 150-minute charity event will bring together regular meditators (“breathers”) and beginners, and will include a quiet concert, mindfulness techniques and group meditation. Scented candles calm the senses. There are other ways for Londoners to achieve a state of zen. 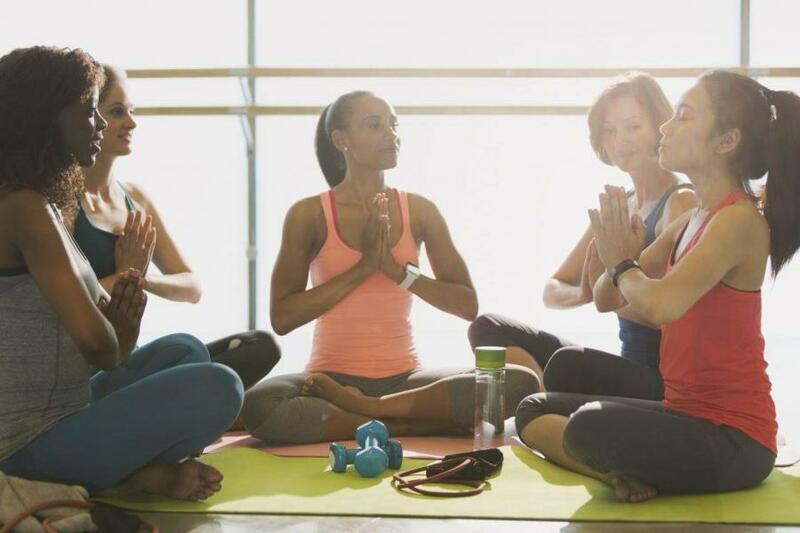 Tribeca Studios in Ealing Broadway offers a 45-minute lunchtime meditation class, Virgin Active has a 30-minute Harmony and Headspace meditation class, and Frame regularly hosts mass meditation classes. Next month, the world’s first “mindful triathlon” is taking place in Victoria Park: competitors will run 5km, then do 90 minutes of yoga, followed by guided meditation. Wong will be there. New book The London Wellness Guide also details a number of classes across the capital, including creative and practical meditation courses at Inner Space in Covent Garden and courses at The Mindfulness Project in Fitzrovia.